Fareed walks into the lounge where his dad is absent-mindedly flicking through the TV channels. “I want the remote,” he says as he holds out his hand. Dad looks at him thoughtfully for a moment and says, “Wouldn’t it sound better if you say, ‘Dad, may I have the remote please?’” Dad’s tone is more of a reprimand than an advice. Times have changed! So have the values about a lot of aspects of behaviour. In this fast paced world we are living in, most of us are in such a hurry that we have no time to meet the demands of good manners. An attitude which was totally unacceptable a generation back, is not even given a second thought by youngsters today. My dear friends, I definitely do not want to imply that your generation is ill-mannered or discourteous. Actually, there is a very thin line between appearing ‘cool’ and being insolent. I feel that your concepts are a bit confused. The manners or behaviour you consider as old fashioned, are true for all times and all people, young or old. On more than one occasion you must have heard from your parents, “Would you please mind your manners!” Maybe this is one sentence which, though short, is common to all parents all over the world — and perhaps very irritating for all children! 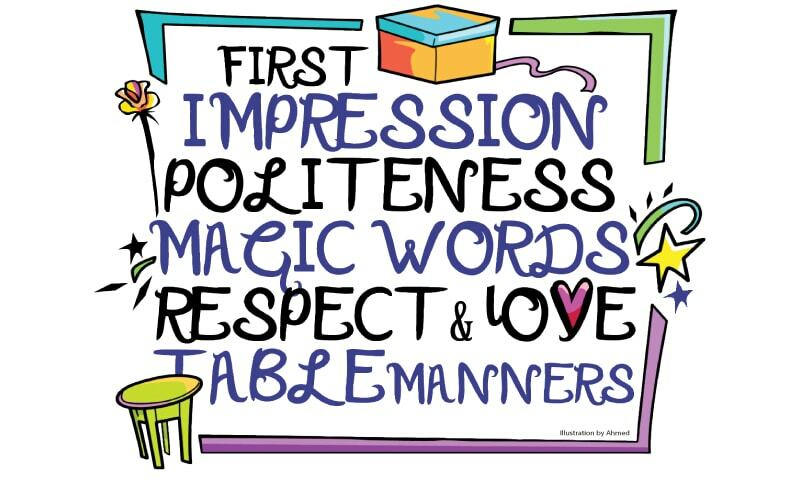 Often, unintentionally we make some lapses in our behaviour without meaning to be impolite or rude, but a timely correction from parents and elders goes a long way in laying the foundation of good manners. Let us discuss some basic principles of good manners. I am sure most of you follow these rules, but a reminder now and then helps in refreshing one’s behaviour. I assure you that practicing these simple guidelines will go a long way in guiding you towards a successful life. It is often said that “The first impression is the last impression”. People usually agree with this saying, but I have a different view. Suppose in a party you meet a person for the first time. You are impressed by his looks and dressing, and want to be friends with him. But when he starts talking in a loud tone, boasts about his education or wealth or is rude to someone, you are bound to change your opinion at once. Always behave in a dignified manner when you are in company. Never try to show off or impress others. When you are gentle, kind and polite, your actions will speak louder than your words. To put it in a few words, “A man’s manners are a mirror in which he shows his portrait” said Johann Wolfgang von Goethe, the famous German literary figure. Showing respect to the feelings of people around you, valuing their opinion and trying to be helpful, are all the qualities of a polite person. When an older person enters the room, stand up to greet him/her and offer your seat if there is no place to sit. Hold the door for the person behind you when you enter an elevator/room. In a supermarket, if you see an elderly person or a young mother with kids, struggling with his/her heavy trolley, offer to help by pulling their trolley for them. In a queue, never push or try to move up in the line. Keep a smiling face and a cheerful disposition when you are in company. Always be quick to give a compliment where it is deserved. Your kind words can make someone’s day. 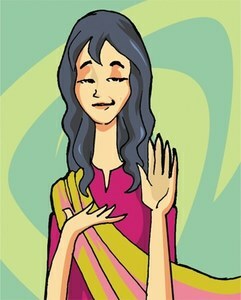 ‘Please’, ‘Thank you’ and ‘Sorry’ are the magic words which are sparingly used by people with good manners. Some children think it is not cool to use these words nowadays, but I assure you that using them often will help you throughout your life. If you get a gift, do not take it for granted. 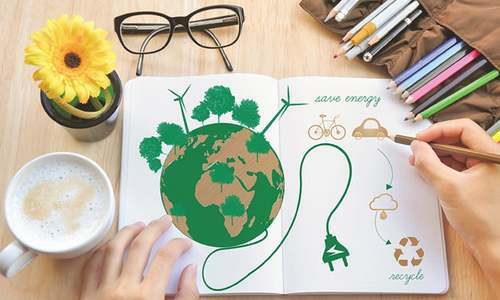 When you say thanks or write a thank you note, you give the message that you appreciate the gesture and thoughtfulness of the person who has given you the gift. Suppose you push someone by mistake in the school line or at a park. Instead of just walking away, don’t you think the shoved person will feel better if you say sorry? Try to put yourself in the other individual’s shoes and think what you would expect in such a situation. When you ask for a favour, always begin your sentence with ‘please’. Even if you want a sibling to get a glass of water for you, don’t forget to use this magic word. Your words sound more like a request than an order, when you say please before asking for something. Respect and love for our elders is an essential part of good manners. Never talk back to your parents, grandparents or teachers and listen politely when they are speaking. Our parents are our best guides and mentors. At every stage of life, they endeavour to bring out the best in us. This may mean reprimands, scolding and punishments too, if we behave in an improper way. Often children feel resentful and sulky when they are scolded, but as they grow up and have to face the world on their own, they realise that their parents’ advise was for their own good. Be thankful to your parents for their tireless efforts for your well-being and always be quick to lend a helping hand whenever you can. Try to the best of your abilities to make them proud of your appropriate behaviour, both at home and when you are in company. Grandparents usually love you unconditionally and think that giving their advice or views on matters related to you are their right. Don’t be impolite if you have a different idea about something. At times you may not follow their advice or instructions, but never forget that they are much senior to you, both in age and experience. Even if your opinion is different from theirs’, don’t challenge them in company. You can discuss the issue later on and explain your point of view on the matter. Teachers play an important role in our lives and lay the foundations of our future. Always be respectful to them and value the hard work they put in to your education. A very important component of good manners is to be loving and kind towards your siblings, friends and cousins. Help them when they need your assistance and try to settle disputes amicably. Children are often confused when the word respect is used for those younger than them, but every human being deserves respect. Remember that all of us, young or old, have an ego, which is hurt by rude or unkind words and behaviour. Your younger siblings often idealise you and feel proud in following in your footsteps. Be a good example for them and pass on the good values you have learnt from your parents, without being harsh. Often, a loving advice goes deeper than an inconsiderate reprimand. The way you speak in company is a reflection of your upbringing and background. Keep your tone polite and courteous and make eye contact when someone is speaking to you. Always make the person you are conversing with, feel that you respect him. Never interrupt when a discussion is going on and if you have to say something, always use “Excuse me please” before starting to talk. While talking to someone, try to stick to topics which are of common interest. Don’t keep bragging about yourself, your achievements or your family, as these are not a mark of good manners. Holding your temper when someone is rude to you proves that your manners are much better than the offender’s. Disagreements are a test for our manners and upbringing. Respect for the opinion of the participants in the argument proves that you know proper etiquettes. Never raise your voice to prove your point, because this would in no way support your opinion. Nor make it a matter of your self-esteem and move away from arguments if you cannot win. Remember that participating in debates/discussions is a way to widen your concepts on different issues and also increase your knowledge. • Never complain about food, even if it is not your favourite. • Never bring a book, toy or other unrelated things (there were no cell phones in my childhood) to the dining table! • Wait for the elders to start before you fill your plate. • Don’t try to grab the best portion. • Stay on the table until everyone has finished eating. • Always make light conversation while eating. • If something serious has to be discussed it can wait, till after lunch/dinner time. 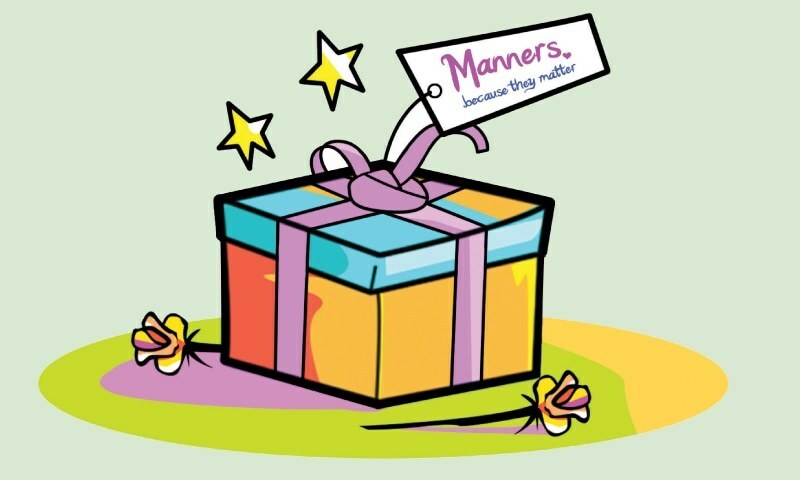 I feel that writing about good manners is like trying to fit an ocean in a cocoon. I could go on and on but have to stop somewhere!